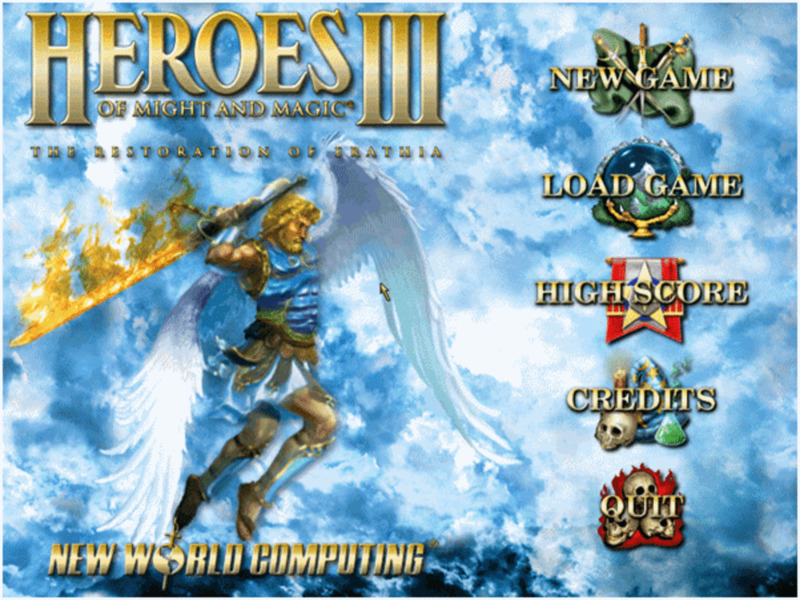 What is Heroes of Might and Magic III? 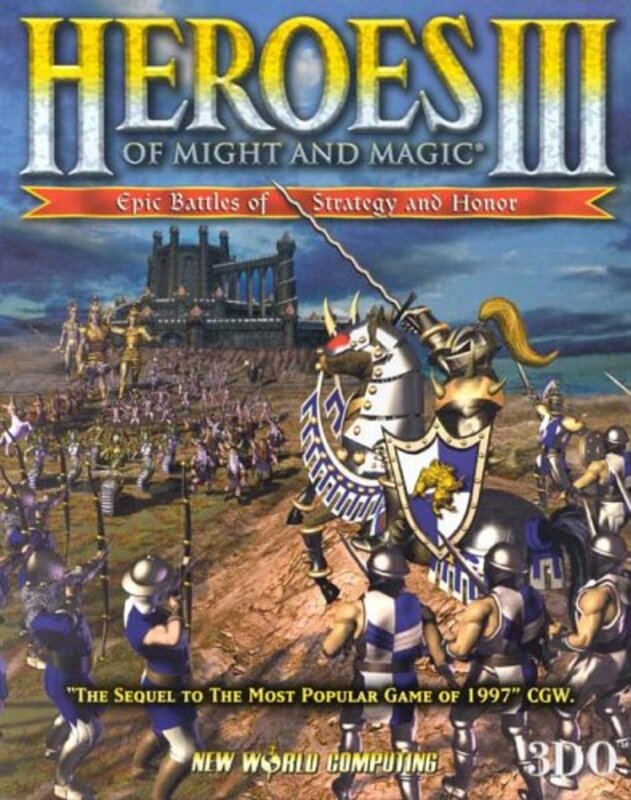 Heroes of Might and Magic III is the third installment in Jon Van Caneghem's popular Heroes of Might and Magic series. 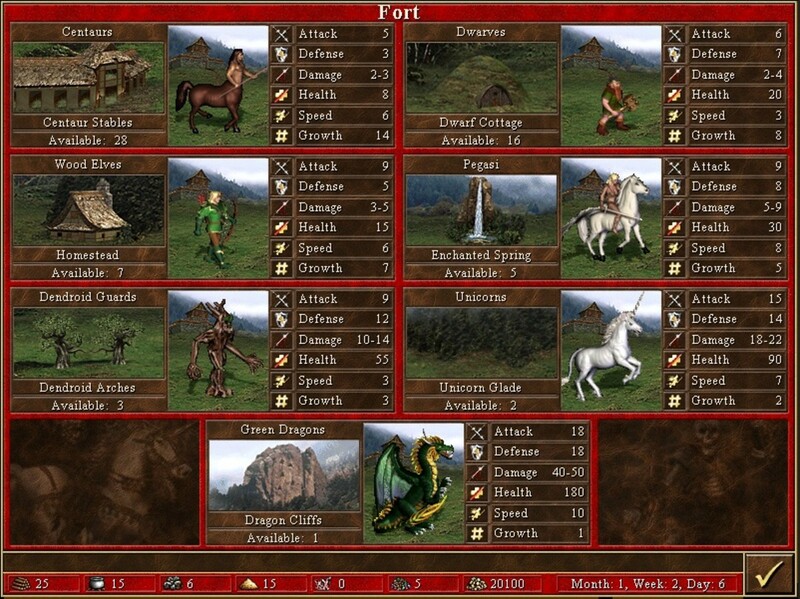 The original game, Heroes of Might and Magic: A Strategic Quest, came out in 1995 and was widely acclaimed for its groundbreaking gameplay and mechanics. 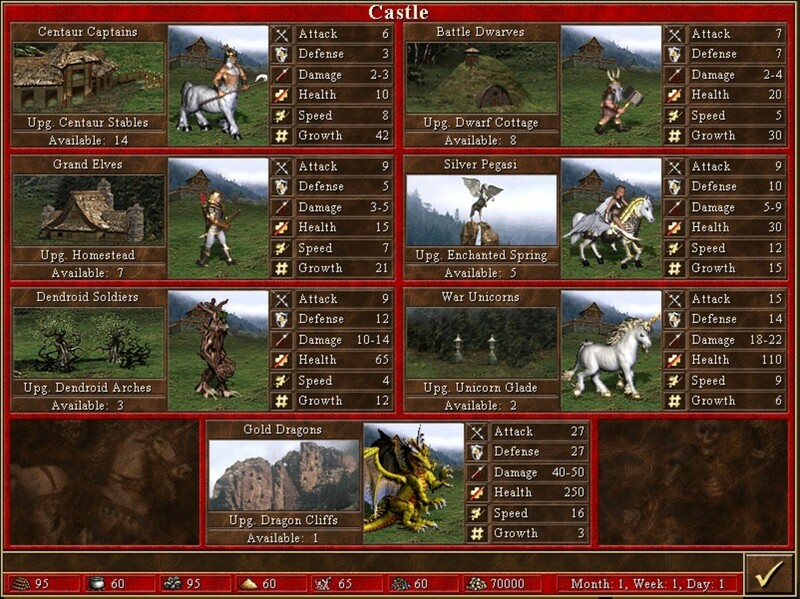 The game was turn-based similar to chess. 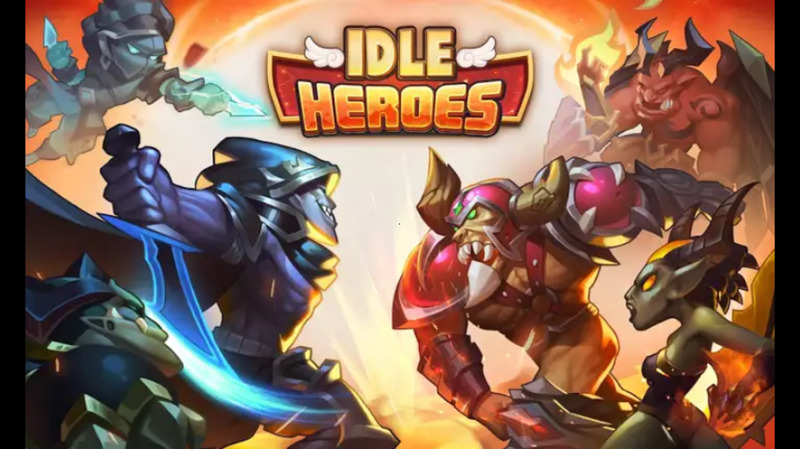 You move your "pieces" or heroes around the map to gather resources, vanquish independent armies, attack opposing heroes, to scoop up artifacts and to protect and besiege towns. 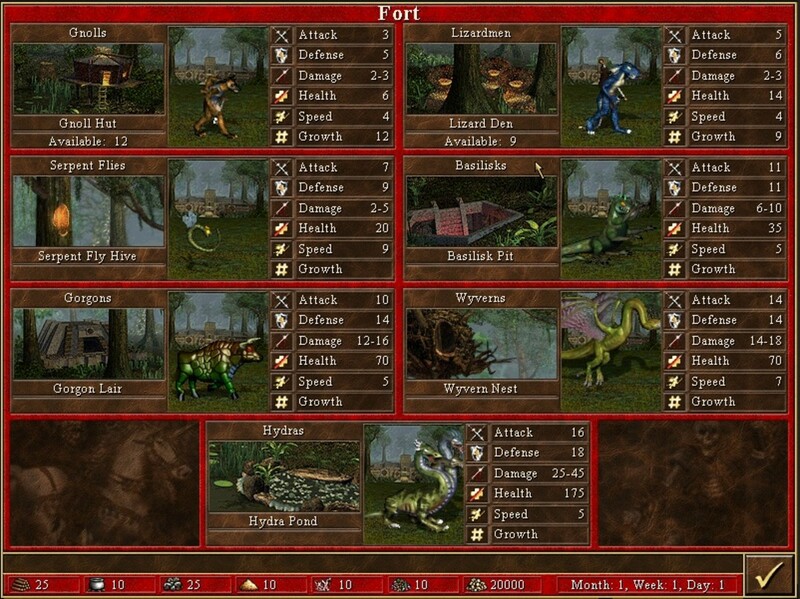 The game revolved around you protecting and upgrading your town and capturing neighboring towns by gathering resources and expanding your army. 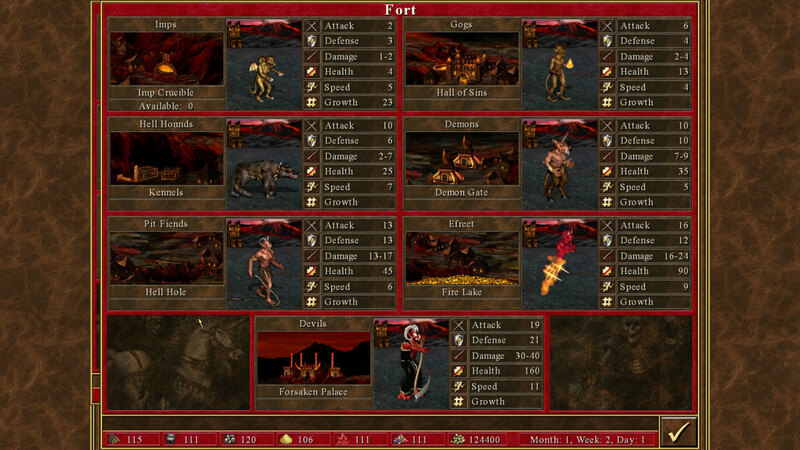 You had several win conditions such as capturing all enemy towns, accumulating a certain amount of gold or finding a particular artifact. The story revolved around the story of Lord Ironfist and his quest to establish a kingdom in Enroth. Heroes of Might and Magic had a level of depth not found in many games during the time. 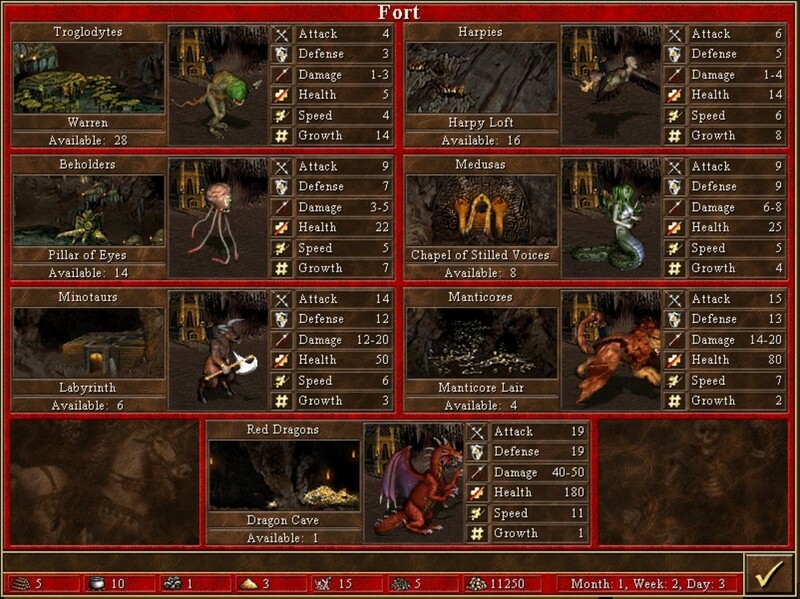 The second installment introduced better graphics as well as two new town classes. This installment focused on Lord Ironfist's two sons - Roland and Archibald and the civil was that ensued because of their claim to the throne. The third installment has eight factions and focuses on the adventures of Roland's wife Catherine and her attempts to defend her father's kingdom Erathia from its neighbors. 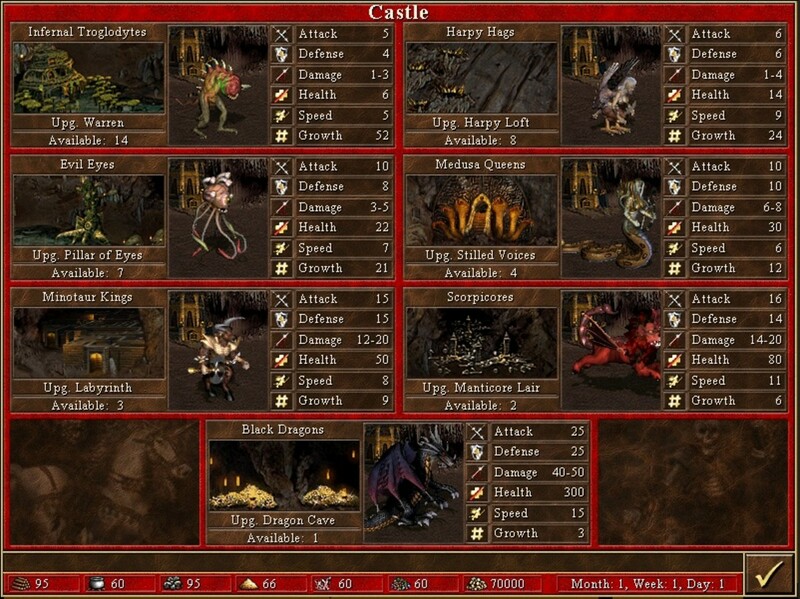 The game boasts of eight unique classes, each with its own heroes, structures and creatures. To add to this is a compelling story mode has seven playable campaigns. 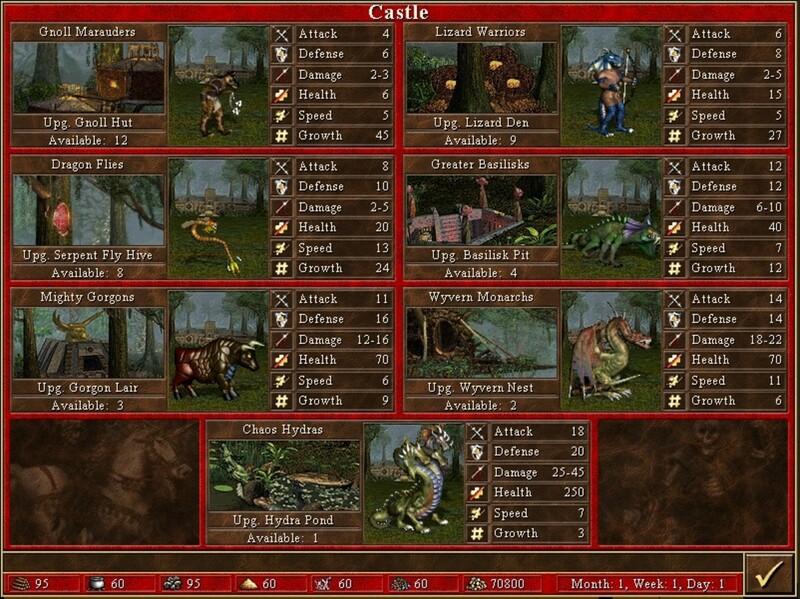 The game was developed by Jon Van Caneghem through New World Computing and published by 3DO in 1999. The kingdom of Erathia is now in shambles as King Nicholas Gryphonheart has died and the lands are now being contested by its neighbors. Catherine Ironfist, has come back home to rally the remainder of the kingdom's troops rescue her homeland from the brink of collapse. 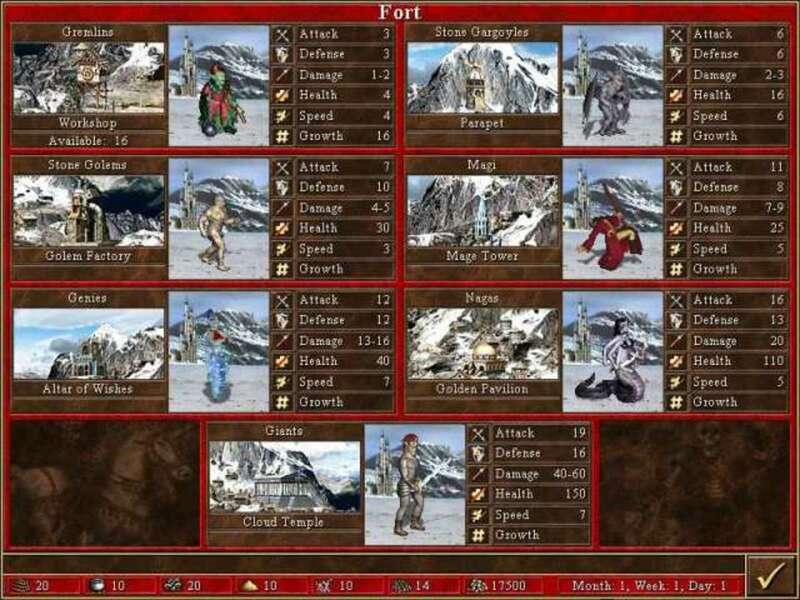 Choose from eight new factions and sixteen hero classes. Each hero now has a unique backstory and ability to aid you in your quest for supremacy. A new seven part campaign tells a compelling story of trust, ambition, betrayal and redemption. 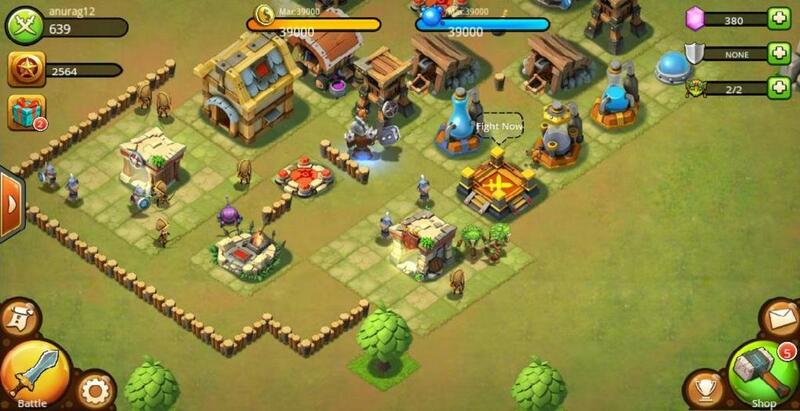 To add to that are dozens of new maps to challenge even the most brilliant of strategists. 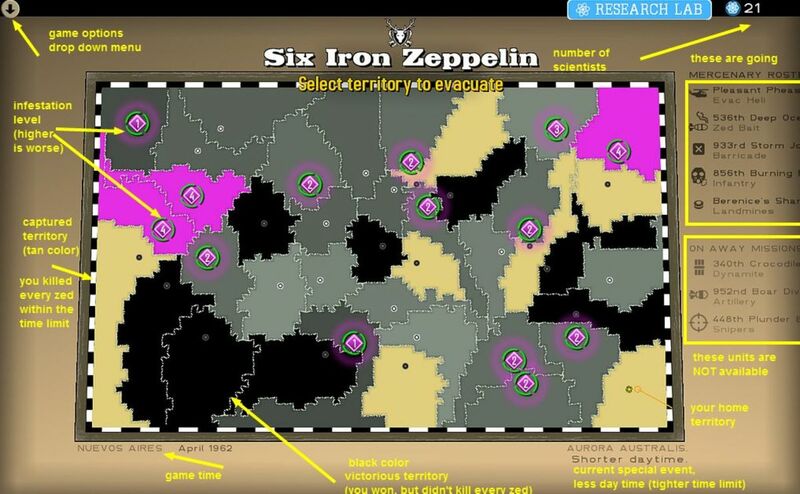 The game has seven resources - gold, wood, ore, mercury, sulfur, crystals and gems. These could be used in a variety of ways such as building structures and creature dwellings, hiring creatures, purchasing artifacts and trading for other resources. Each of the classes require a different key resource. The Tower class for example requires a fair amount of gems. Securing such resources quickly helps you build the necessary structures and helps you hire higher level troops to augment your armies. In the same way, denying such resources to the opposition is also a key to victory as it impedes his efforts to build advanced structures and hire better troops. 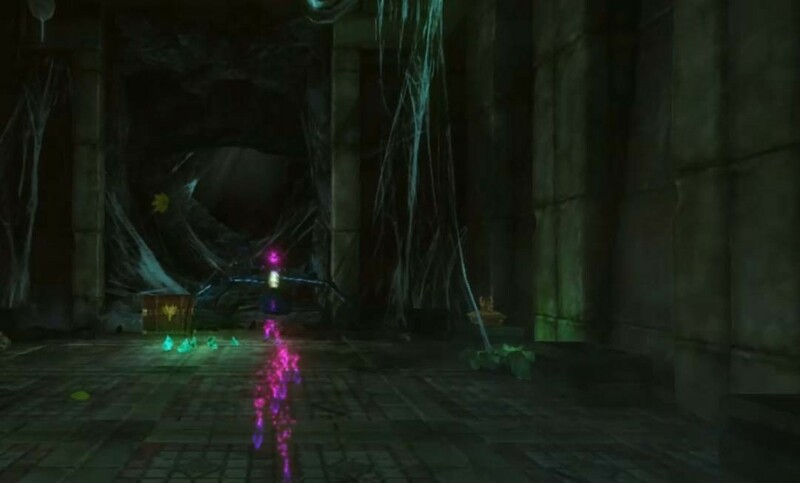 Resources could be found lying in the ground, in creature strongholds and in mines. They could also be generated by certain structures, artifacts and hero abilities. 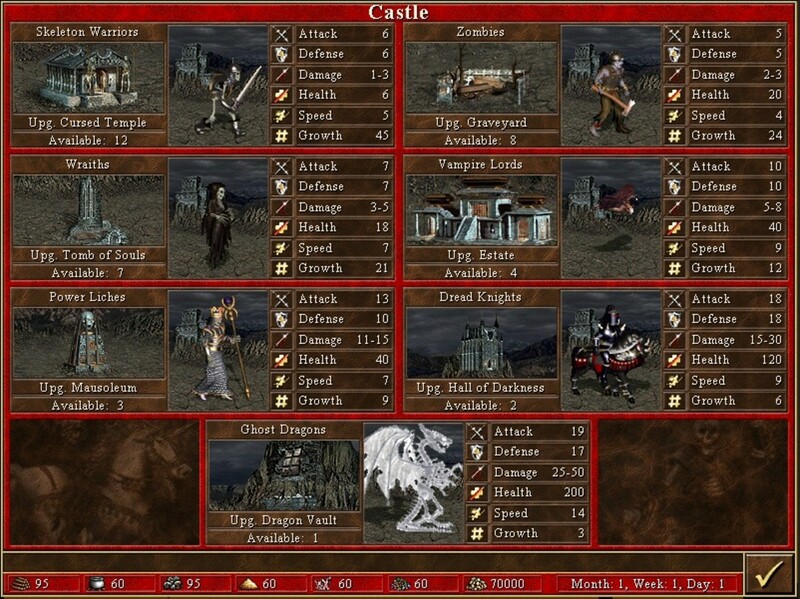 The Castle represents the Erathian faction and is the de facto human representation in the game. 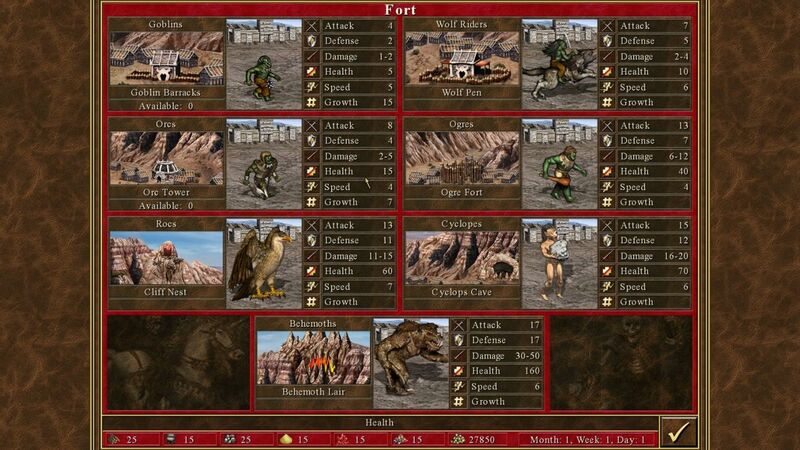 Erathian troops are a well trained bunch and are excellent in hand to hand combat. With weapons of mostly wood and metal, the Erathians aim to expel would be invaders off their land. While mostly comprised of humans, this faction is augmented by griffins and angels. This faction was inspired by the European medieval era which lasted from the 5th to the 15th century. 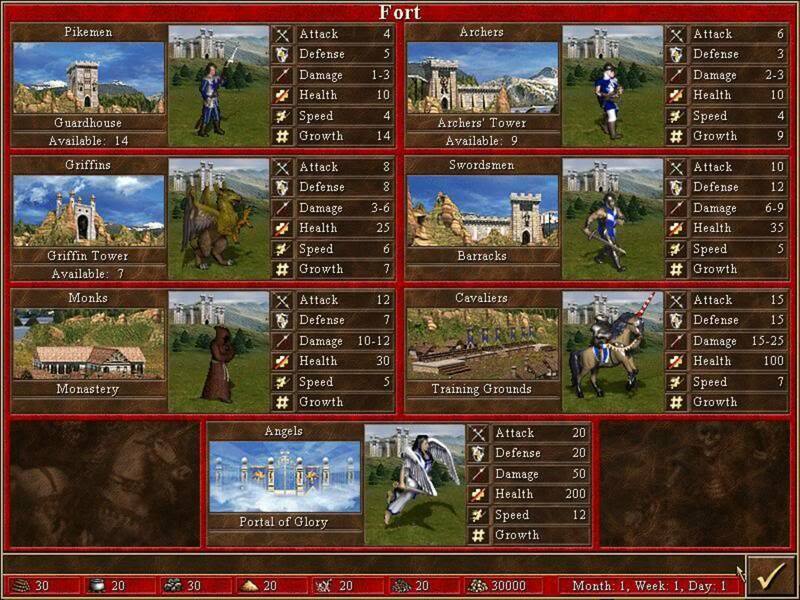 The key to winning with this class is to be able to gain high leadership and attack and defense bonuses to inspire your armies to victory. The Tower looks like a medieval version of Disneyland and comprised mostly of magical creatures except for the mages and archmages. This faction has in the fold some of the best ranged attack troops in the game and some of the most powerful arcane spells. There is a saying that knowledge is power and this class is a testament to that. 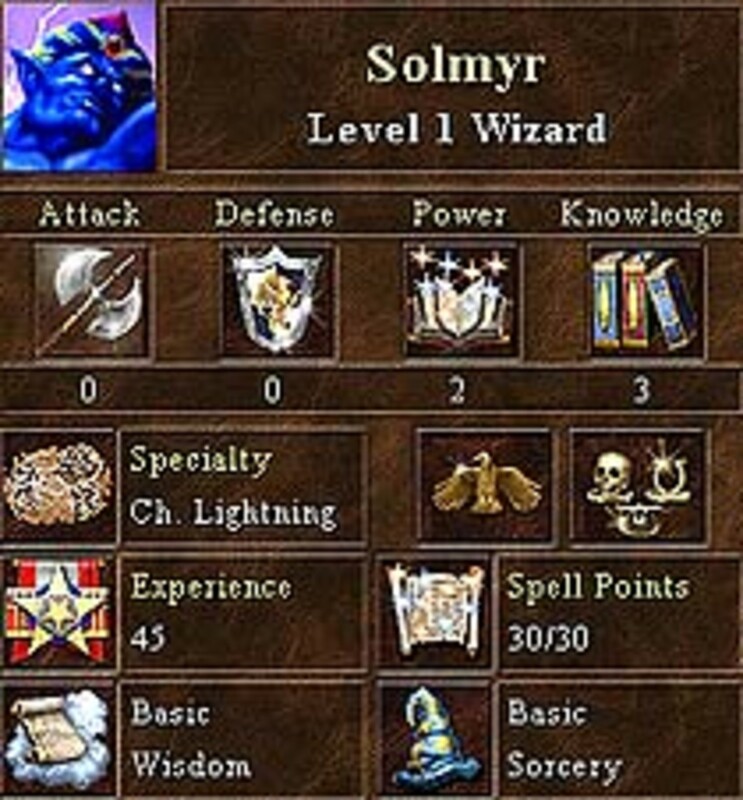 The key to victory is to be able to quickly gain high spell power and knowledge and combine it with a mass destruction spell such as chain lightning in order to easily decimate opposing troops. Having a library allows you to have better chances of getting key spells than your opponent. Combined with a decent army of ranged attackers, this can quickly overwhelm the opposition. The Rampart is a revamp of the classic Sorceress town and gets its power from various benevolent creatures of myth and legend. Being magical in nature, many of the creatures that inhabit the town are immune to magic. 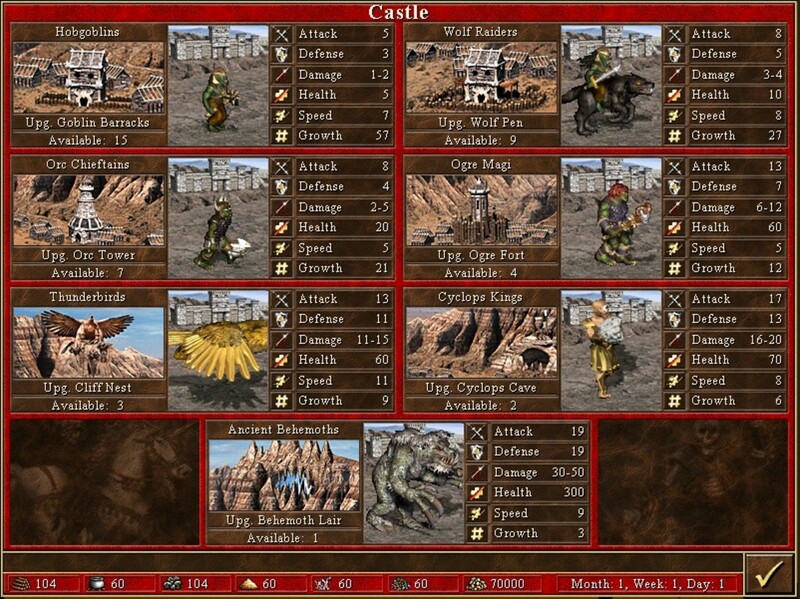 Creatures of the Rampart are among the toughest in the game. The key to victory is to be able to gain high magical resistance and armor to be able to negate your opponents physical and magical attacks. You can also buy your way to victory. The dwarven treasury can easily help you gain hundreds of thousands or millions in gold which you can use to fund your war. The Kingdom of Eeofol resembles more like a giant Satanic cult with all the references to demons, pain, suffering and damnation. What sets this faction apart is its large demonic army and its mastery of the element of fire. The key to victory is to be able to use you minions' malevolent magical tricks to your advantage. Pit lords can summon pit fiends and you can use this ability to quickly summon a horde of demons. Efreet sultans have fire shields and are resistant to fire and you can use them to corner ranged attackers and quickly decimate them and combine them with the armageddon spell to obliterate entire opposing armies. Devils and archdevils can teleport anywhere in the battlefield and negate enemy retaliation. The Dungeon is home to some of the vilest and most vicious mythological creatures in all the land from the cannibalistic black dragons to the malevolent medusas. While this class does not boast of overall creature quality, it boasts of having the black dragon in the fold which is the best creature in the game. The key to victory is to amass several black dragons and combine them with the armageddon spell. This combination can devastate any army and can quickly win you the game. To ensure your victory make sure you boost your power and knowledge stats enough and boost your spell points using the mana vortex. The Fortress is a faction with reptilian and insectoid features. With their naturally tough skin,they are tough to take down especially during a castle siege where the town fortifies their natural defenses. The key to winning with this class is to boost your armorer ability and to boost your defensive stats. In a war of attrition, you will win out on your opponent as he will be out of troops and you will still have plenty. The terms "strength in numbers" not only applies to the Golden State Warriors but also to the undead legions of Deyja. With their powers of necromancy, the opposing forces rise up to join your ranks. With each victory, your undead army increases. 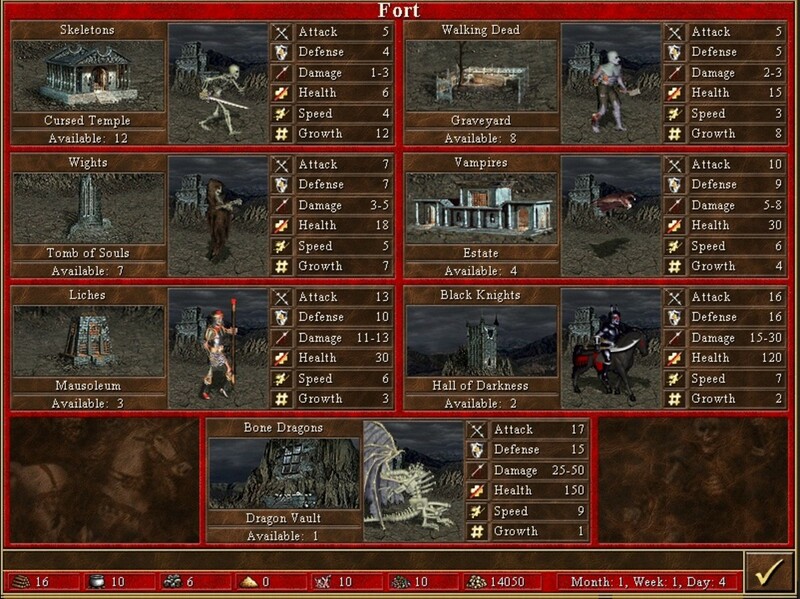 The key to victory is to quickly increase your necromancy skill through building structures, acquiring certain artifacts and increasing your necromancy skill. This will help you overwhelm your opponents with a huge undead army. The Stronghold is very much similar to the old Barbarian class. Overall, creatures in this class can do more damage than creatures in other classes as the magical prowess of this class is virtually non-existent. You really have to rely on brute force and nothing else. 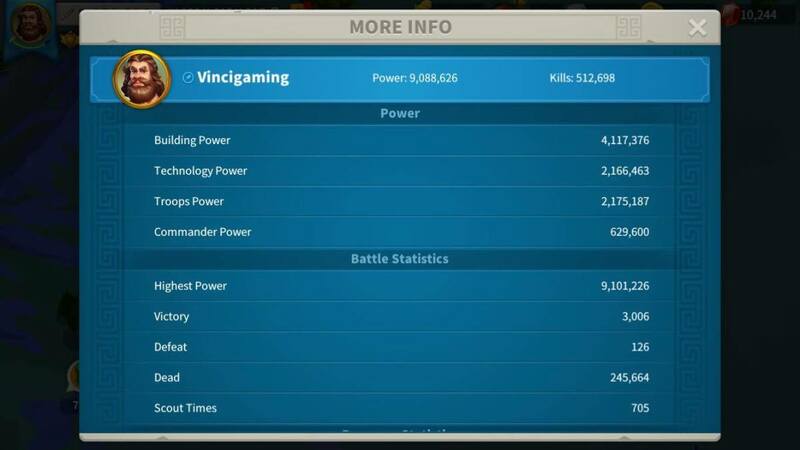 The key to victory is to be able to quickly get cyclops kings and behemoths. Cyclops kings can quickly reduce a castle to rubble with their siege ability and behemoths can quickly decimate any creature stack. As with most classic games, the graphics in this game has been far surpassed by later incarnations of the game. However, the game still holds up to this very day in terms of gameplay and depth. A game does not have to have graphics similar to The Witcher 3: Wild Hunt or ARMA III to be a great game. What makes a game great is the fun factor as well as compelling storytelling. 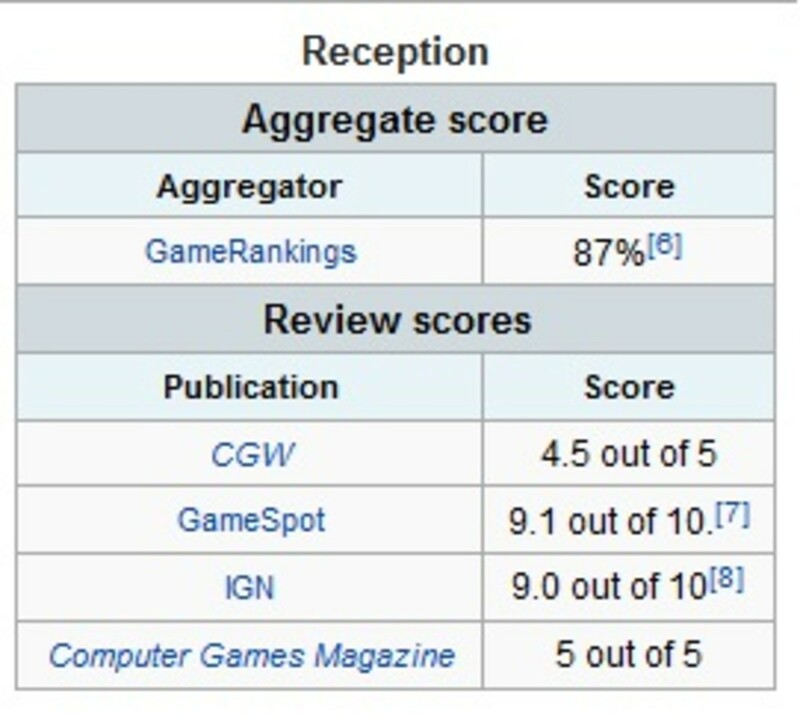 The game is an excellent successor to its two previous incarnations by keeping the game engaging and addictive. The game has multiple scenarios and a turn based “hot seat” mode where two players slug it out on a single computer in a turn based fashion similar to a chess game. This gives the game endless replay value. 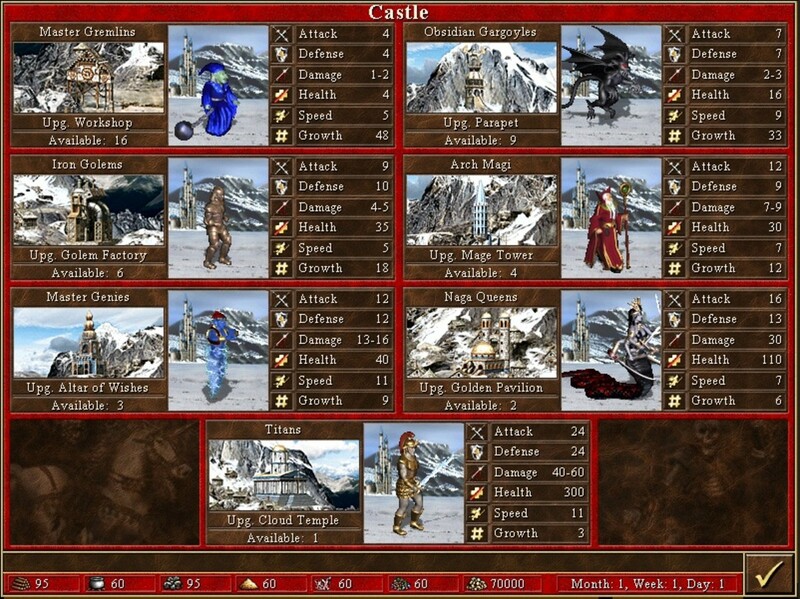 With eight classes, a plethora of heroes and dozens of scenarios the possibilities are endless. 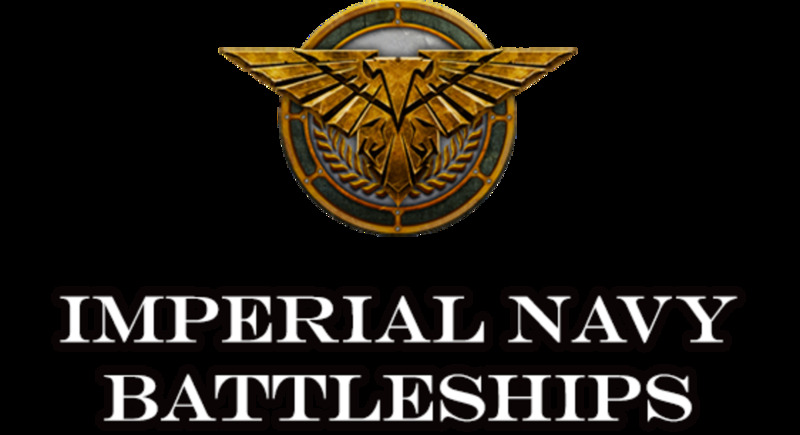 This game is highly recommended for role playing games fans and strategy game enthusiasts. 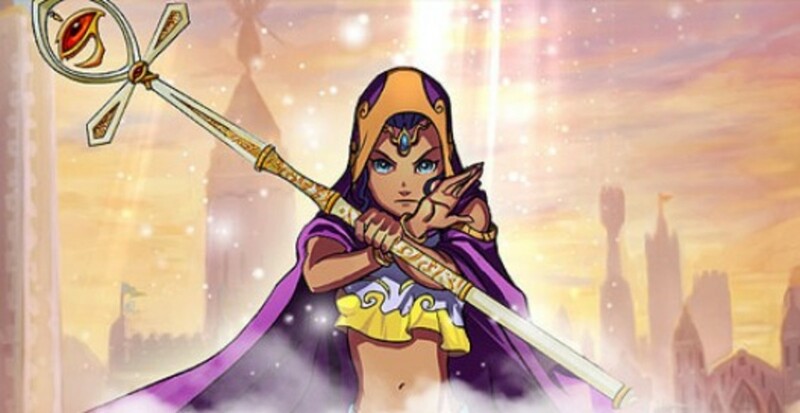 The game is such a classic and so beloved that Ubisoft published an updated HD version of the game on January 29, 2015 – fifteen years after its release. Which is your favorite faction? 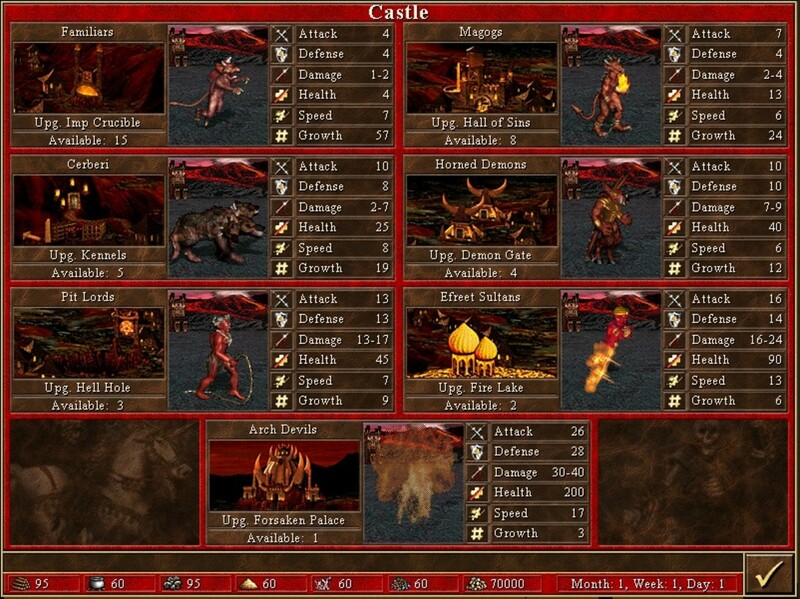 In Heroes of Might and Magic III: The Restoration of Erathia, will an updated version be released that includes Armageddon's Blade and Shadow of Death? 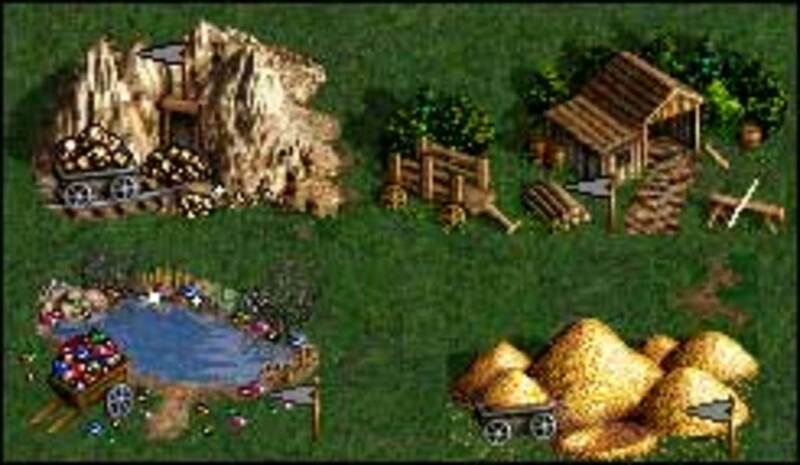 The prospects are bleak, as Ubisoft claims that New World Computing (The people who made Heroes of Might and Magic III) were not able to preserve the digital assets for the expansion packs. They may try to recreate the assets from scratch, but it will take more time, money and effort.